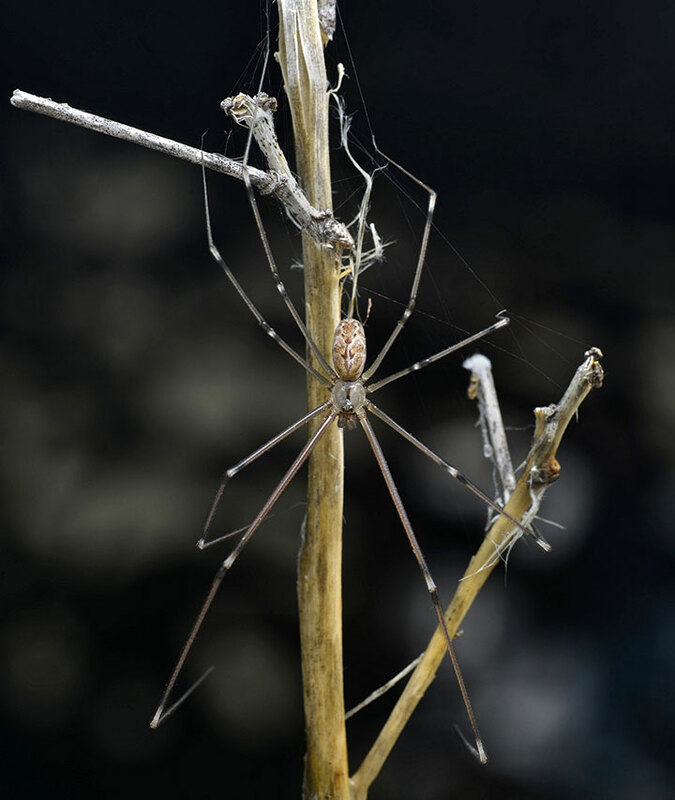 This is a Mediterranean species which like Pholcus phalangioides has spread throughout the world with humans. Because it resembles the more well-known Pholcus phalangioides (Cellar Spider) it is probably misidentified as its famous cousin. 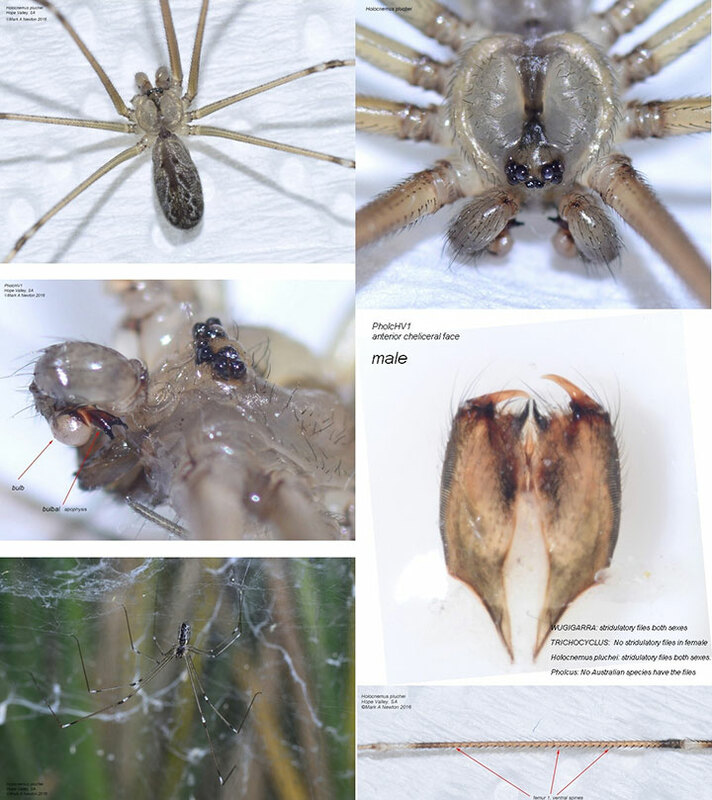 Even in field guides pictures of Daddy Long-legs may be Holocnemus pluchei rather than Pholcus phalangioides. Or in fact Smerignopus natalensis or any one of the nine species introduced to Australia from elsewhere. Not that it matters much, they probably perform a similar role in houses and even when they spread into nearby bushland. Under the microscopen Holocnemus pluchei has stridulatory serrations on the sides of the jaw (for producing sound), while the common Pholcus phalangioides. doesn't. In fact it is different enough to be a different genus. Even though Pholcids are well documented in Australia, they are rarely looked at because they are small and hard to photograph. The story about their supposedly deadly venom is simply rubbish. Their venom is not very strong or interesting. Their fearsome but bogus reputation comes from their ability to wrap Redbacks with silk with their long legs, then safely bite and eat them.